I love creating nourishing and delicious recipes in the kitchen. The following are a sample of my healthy eating recipes that I share with my clients. Check this page periodically for new recipes. This is my favorite spinach and strawberry smoothie made with either vegan Organic PurePea protein powder, or WheyCool. It can also be made with PurePaleo if you are avoiding dairy and legumes. It is a healthful way to start your day, with this protein packed anti-oxidant rich breakfast, that will keep you feeling energetic and satisfied until lunch. Place water, berries, spinach and seeds in a VitaMix, Magic Bullet Blender or immersion blender and blend until smooth. Add the protein powder and blend gently until just mixed through. It’s important to blend the powder last to maintain the delicate nature of the protein. A commercial smoothie is not a healthy food. And although some of the ingredients used are healthful, it is typically loaded with sugar. These smoothies are often low in protein or contain poor quality protein. You are better off making a smoothie at home and incorporating a relatively small amount of low glycemic fruit and/or greens together. The important components in a smoothie are good proteins, good fats, good anti-oxidant rich vegetables and fruit and a liquid. Super foods such as green powders and red powders are a great addition too. A good quality protein, either from whey concentrate, such as WheyCool or Organic PurePea or PurePaleo are important to add for blood sugar regulation and satiety. Avoid soy protein isolate as well as whey protein isolate. Avoid products that contain GMO’s and or are made from conventionally raised dairy and beef. Avoid protein powders that contain additives such as artificial sweeteners, colors and flavors. If you use whey, make sure it comes from 100% grass fed cows’ raw milk, and is cold processed, which contains lactoferrin, immunoglobulins, serum albumin, growth factors, and active peptides (bonded amino acids), such as WheyCool from Designs for Health (pdf). These exceptional proteins are available at Tri Holistic Nutrition Online Store. Shipping is free! If you are trying to lose weight it is best to keep your fruit intake to a maximum of 2 servings per day so limit the fruit in the smoothie to 1 small piece or ½-1 a cup of berries. The darker the berries the better. Choose fruit which is low on the glycemic index such as blueberries, blackberries, strawberries or raspberries. Avoid adding fruit juice or sugary yogurt. Non-sweetened organic nut milks, rice milk, water, or plain yogurt are a much better choice. Adding some flax, chia or hemp seeds adds essential omega 3 fatty acids. Avocado adds beneficial monosaturated fats and coconut butter adds a nice texture and healthy saturated fats. Coconut milk is also a good option. Adding good fats will help with satiety and blood sugar regulations. This salad not only looks beautiful, it is healthy and tastes amazing too. I have brought this salad to many potlucks and it is always a crowd pleaser. It should be made a couple of hours in advance to allow the kale to soften a bit. Humans are genetically adapted to eat what the Paleolithic (Old Stone Age) ancestors ate. They ate whatever they could hunt, fish, gather and pluck for 2.5 million years, which is why they were lean, fit and free from Western diseases. When they died, often earlier than we do, their deaths were not attributed to Western diseases such as heart disease or diabetes. Wild game is high in omega 3 fatty acids, B vitamins, and iron. It contains potassium, phosphorus, zinc and selenium. Game meat contains a low saturated fatty acid content, and a good ration of omega 3 to omega 6. That ratio is imperative for reducing inflammation, cholesterol and heart disease. Therefore eating wild game can help lower cholesterol and the risk of heart disease. Plus, because wild game is not farmed, it is free of the toxins that commercial raised animals are exposed to. The food chain matters – You are wheat you eat, and what your food ate! Mix the ground bison and egg, with herbs and spices and form into 4-6 patties. Cook at medium heat with no additional fat on a cast iron skillet or Green Earth Fry Pan non-stick ceramic skillet. Flip over and cook both sides. Adjust cooking time for desired rareness. This is a very hearty and tasty breakfast treat. It is perfect for a Sunday brunch. People who are dairy free, egg free and gluten free have a very hard time going out for breakfast, especially if they are vegan. This can be easily made at home for a special healthy and tasty breakfast treat. Soak millet and buckwheat overnight with 1 tsp. apple cider vinegar. Drain and rinse thoroughly and place in blender with 1 cup fresh water, banana, coconut oil, maple syrup, cinnamon, vanilla, and sea salt. Blend until creamy. If using blueberries add them after blending. Use coconut oil on a heated nonstick ceramic pan or well-seasoned cast iron pan to prevent sticking. Sprinkle each pancake with seeds once the holes form, before flipping over. Serve warm with raw nut butters, grade B organic maple syrup, blackstrap molasses, applesauce, plain yogurt and /or fresh fruit. Other gluten free whole grains may be substituted. This is one of my favorite fall and winter time soups. It has a wonderful nutty flavor from the kabocha squash that blend beautifully with the flavors of garlic, ginger, cumin and curry and richness of the coconut milk. This is a great soup for a simple dinner or a starter for a festive holiday meal. Roast the kabocha squash in the oven until it can be cut and peeled. You may also prep it raw. Alternately use Butternut squash. In a large soup pot, gently heat oil and onions until translucent. Add carrots and celery and stir to coat with onions and oil. Add water, stock, cubed squash, parsnip, tomatoes, and bring to a gentle boil. Skim scum off the top if necessary. Reduce heat. Add coconut milk, ginger, and spices and simmer until all vegetables are softened. Remove bay leaf. Use a hand held immersion blender and blend soup in pot until desired smoothness is achieved. Serve with a dollop of organic whole milk yogurt, creme fresh, or coconut kefir. Soak almonds overnight in water with 1 tsp. apple cider vinegar. Drain, rinse well and drain again. Place in blender. Add filtered water, vanilla, and agave nectar. Use a VitaMix and blend for 30 seconds. If using a regular blender time may need to be increased. Nut milk may be squeezed through nut milk bag for a silky consistency. Pulp can be used for other recipes or remain in the milk. 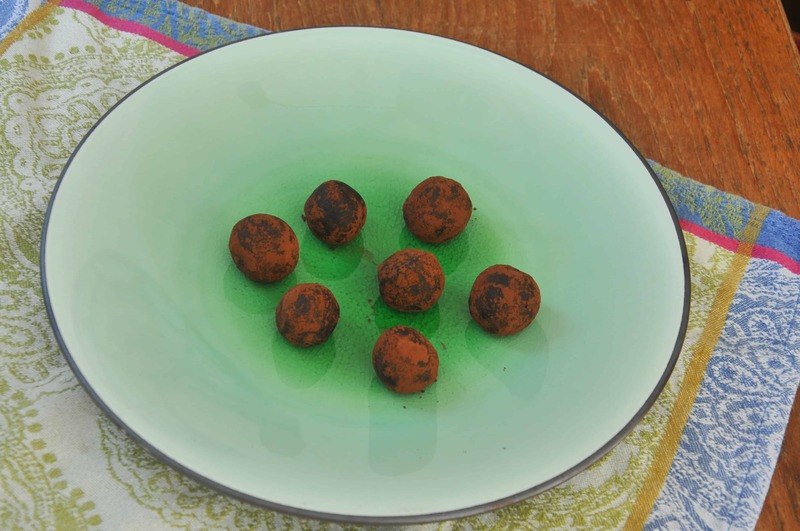 See below for an amazing truffle recipe using nut milk pulp. Mix nut milk pulp, left over from making nut milk, with tahini paste. Add cocoa powder, vanilla, coconut butter and honey to taste. Do not over mix. Small chunks of coconut butter add texture. Cool in the refrigerator. Form into small balls and roll in extra cocoa. Keep in freezer for a dark chocolate delicious frozen treat that is healthy and not too sweet. Use organic veggies for best results. This is a great way to make health promoting lacto-fermented veggies at home. These tangy fermented veggies are full of beneficial probiotics which is great for your gut and immune health. Note- you can substitute any hard root veggies like sweet potatoes, beets, radishes, parsnip, rutabaga and even above ground veggies like cauliflower. The remaining liquid can be drunk as Gut Shots and also be used to speed up the next batch. I typically add 2-4 TBSP to my next batch. To make the brine – mix water and sea salt in a bowl until dissolved. Place slices carrots or other veggies in a wide mouth mason jar and press down. Herbs and spices are optional but really not necessary. Cover with brine. Leave at room temperature for 4-7 days. Transfer to cold storage when desired tanginess is achieved. The remaining liquid can be drunk as Gut Shots and also be used to speed up the next batch. I typically add 2-4 TBSP of liquid to my next batch. This is a perfect fall or winter dish. The meat just falls off the bones and the sauce is absolutely delicious. Serve this with mashed cauliflower and braised bitter green for a complete meal. Note that there are no onions or garlic in this dish, yet it is rich and full of flavor. This is a great main dish for people who are trying to avoid alliums. However, if you are not, you can easily add onions to this. For best results, liberally salt lamb 24 hours before cooking. In a large Dutch oven or other heavy covered pan, brown lamb shanks on medium high heat. Remove from pan. Sauté celery and fennel in lamb fat with additional butter or ghee for 5 minutes. Return lamb to pot. Add liquid, sun-dried tomatoes, half of the rosemary, (salt is using) and pepper. Bring to a slow boil, cover, reduce heat to low and cook for 2- 3 hours until lamb is very tender. Sprinkle with remaining fresh rosemary leaves before serving. This is a great dish for replacing regular mashed potatoes for low carb option. You may also omit the carrots all together and use other root veggies or cook cauliflower alone for a keto version. Himalayan Pink Salt to taste. In a large heavy pot bring cauliflower, carrots, garlic, ½ of the thyme and bone broth to a boil. Reduce the heat and simmer covered until the carrots and cauliflower are soft. Drain some of the liquid and save for another dish. Add butter or olive oil and mash using an immersion blender. Garnish with the remaining fresh thyme. This is a wonderful variation on the traditional coleslaw. It is spicy, salty, tangy and sweet! In a large bowl toss together cabbage, cucumbers, daikon radish, carrot, cilantro, rice vinegar, honey, pepper flakes, and salt. Chill in refrigerator or serve immediately.